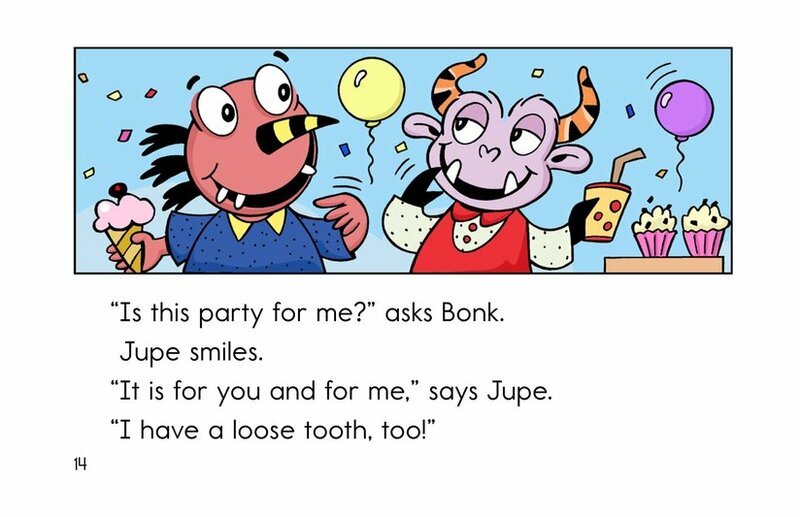 Bonk couldn't be more proud of his loose tooth. 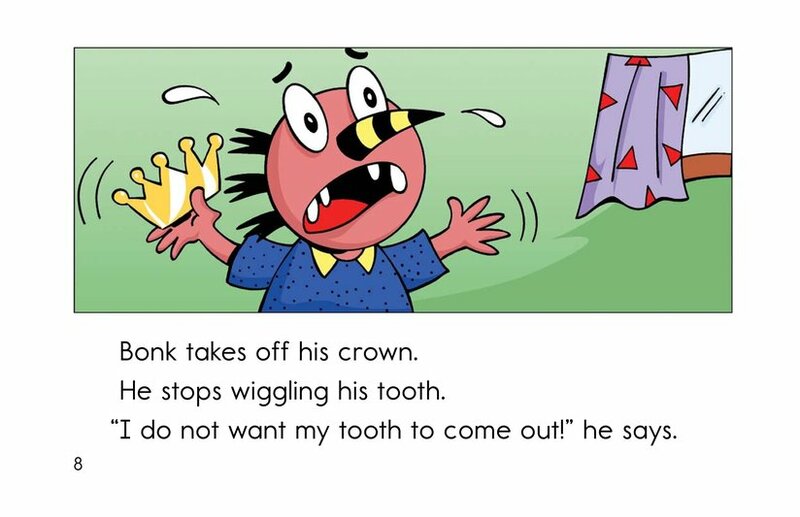 He wiggles it for all his friends and declares himself the king of loose teeth. 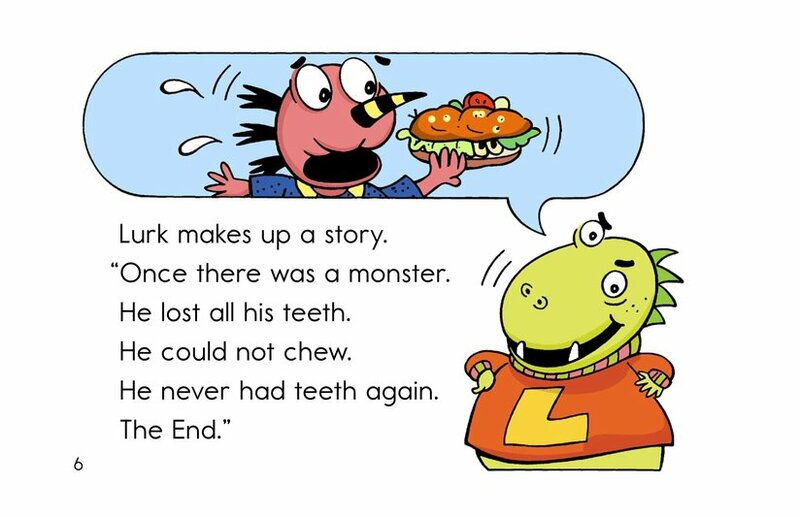 But his jealous friends tell him scary stories about having his teeth pulled and never being able to chew again. 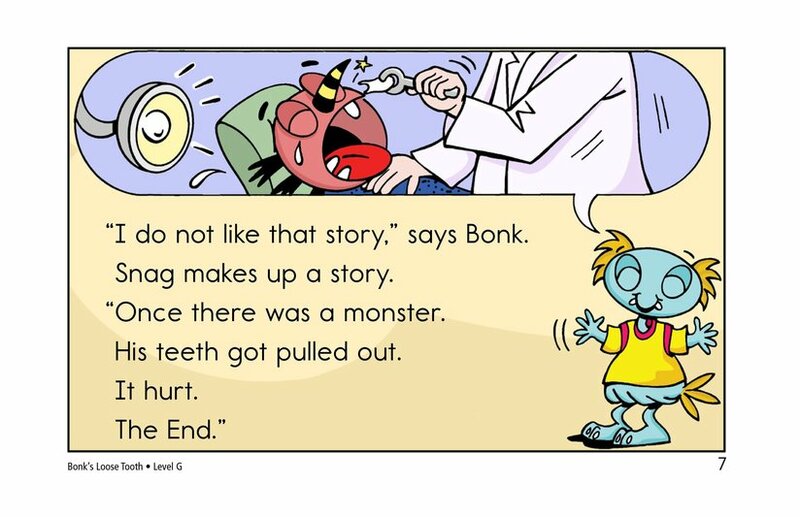 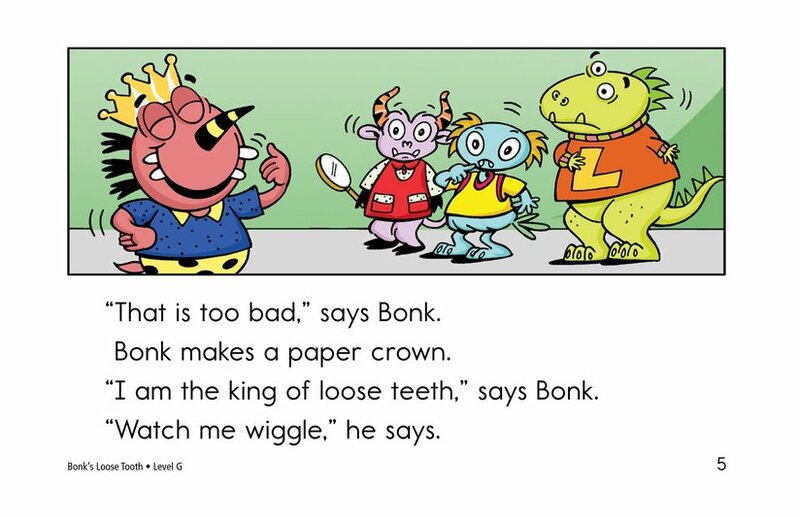 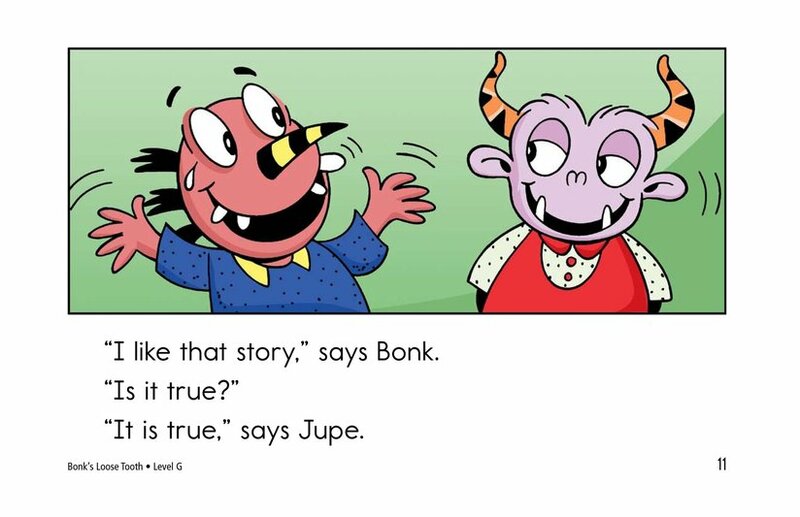 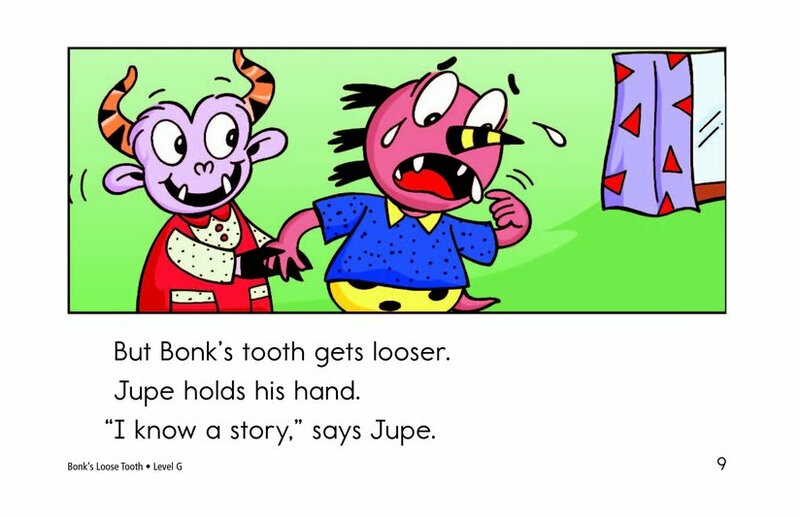 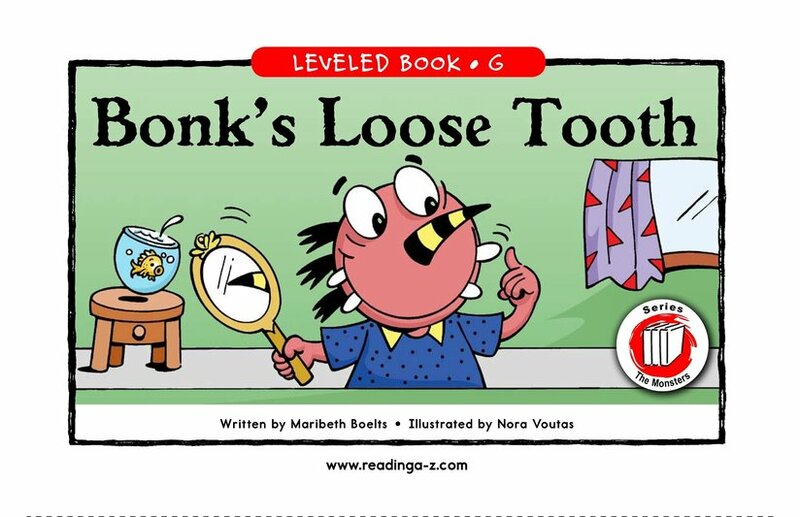 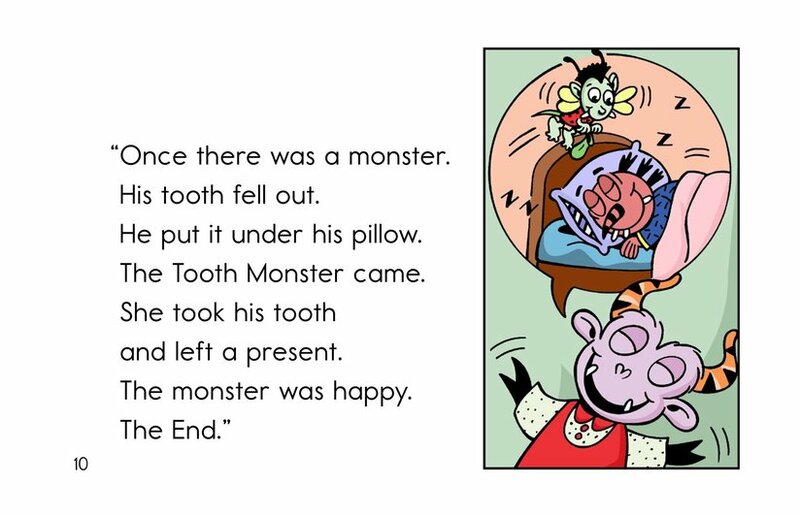 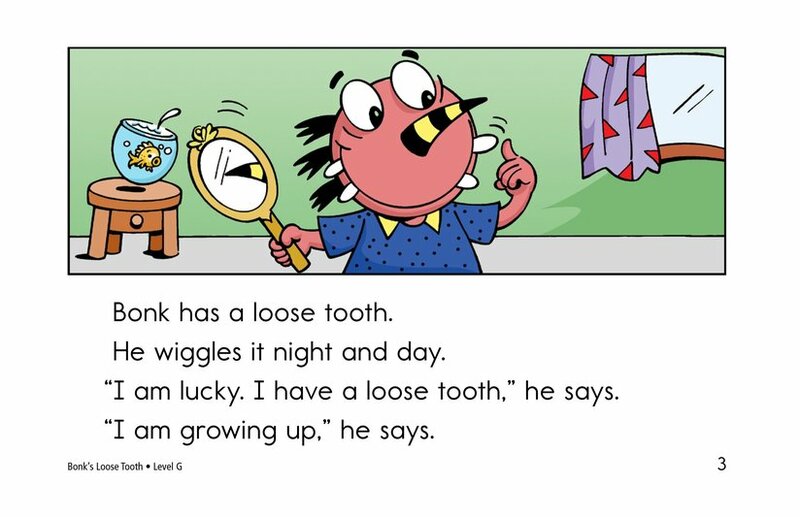 Bonk is upset until Jupe tells him the true story-that the Tooth Monster will come and leave a surprise when his tooth comes out. 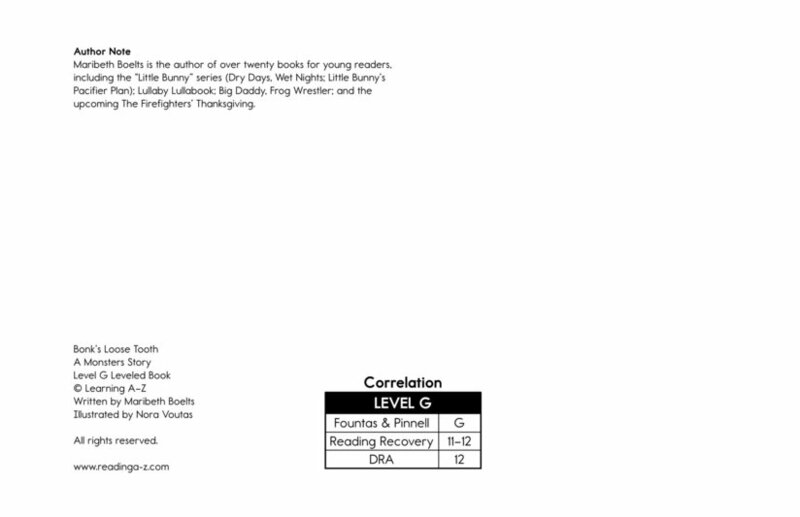 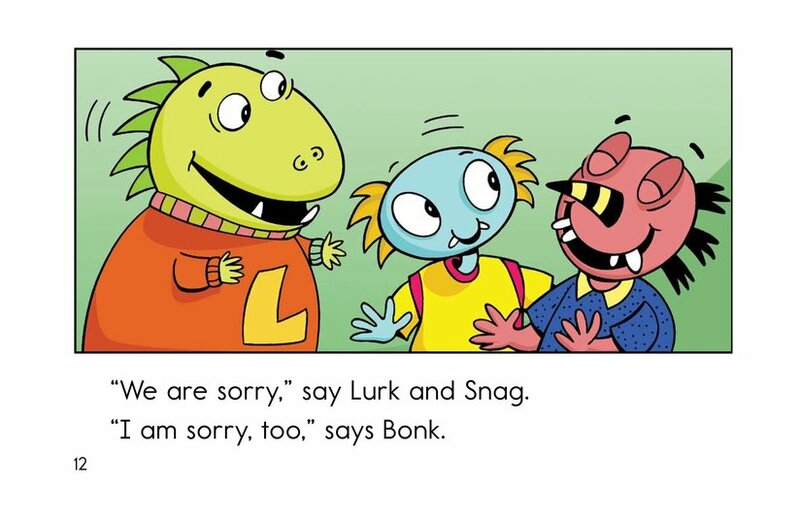 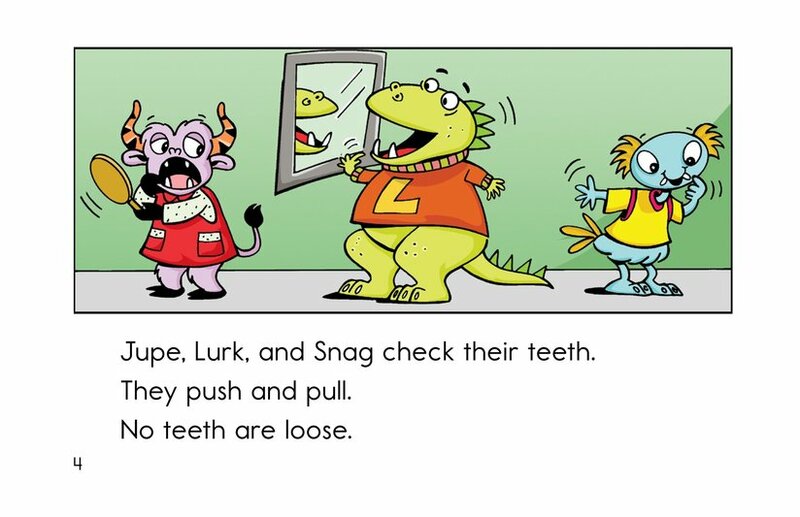 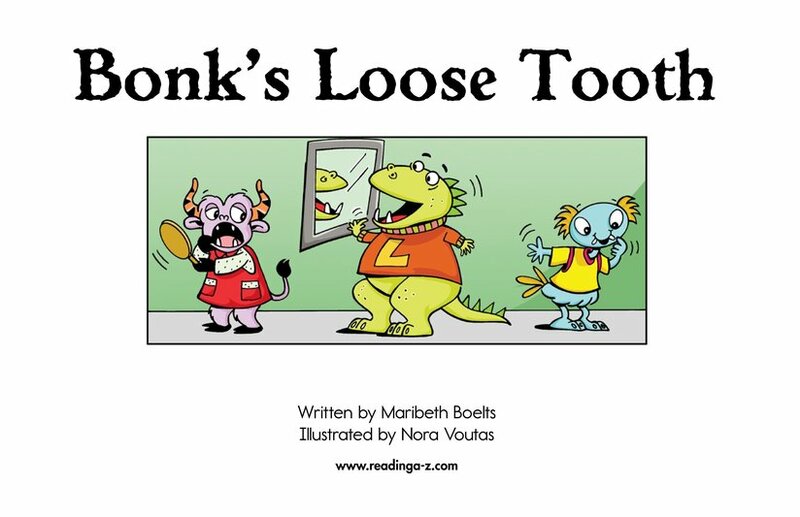 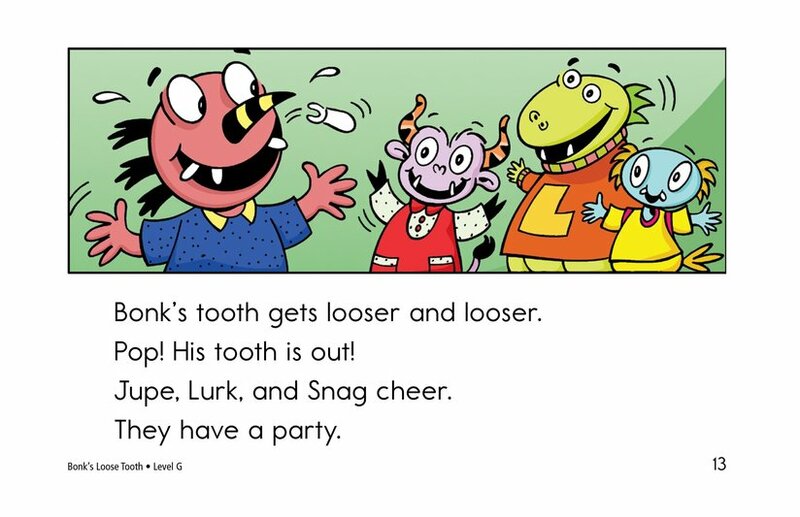 Bonk's friends apologize, and the Monsters have a loose-tooth party.